Learning about SecureCDN (Formerly MaxCDN)? "Top quality CDN for the website owner"
maxcdn is one of the best cdns you will find out there. It packs with everything one could need in terms of content delivery, i did not know much about cdns but maxcdn made it easy from the begining and their free trial is awesome as it includes almost all the features as if you were a paid user. This let's you first experience what you are going to buy. There's little to dislike about maxcdn, when others make something that's overly superior then i thinks we would have another point of reference, but at the moment maxcdn is one of the points of reference of what a cdn should do. Give it a try, use the trial and play with all the options avaliable, there's always new features to discover. Asset management and caching is the main reason we use maxcdn for. It supercharges any website and makes things load faster because you only have to worry about your html and little other thing to be handled by your webserver. "MAXCDN is an overall good global CDN service." MAXCDN's speed is fast and price is reasonable. They are not the fastest CDN in a particular region, but is all top 5 of all regions in 9GAG own benchmark. MAXCDN gives you enough flexibility to control your CDN behaviors, that is helpful for DevOps team. The dashboard the clear and realtime. Their priority-support team is quite good. They never get 100% SLA. MAXCDN always has some tiny incidents from some POPs (Ef, AU/EU). They will reroute your traffic to nearest POP, but during that time, the latency increased. You may need to create your own monitoring process by using some other services, as their NOC team found problem late sometime. Their price of South America is not cheap. 9GAG needs a Global CDN which can provide fast services / full controllable / reasonable price / five nine SLA / flexible enterprise contract .. We runs our own benchmark on 8 CDN providers, MAXCDN is the overall good and balanced one. MaxCDN provides a convenient CDN service, that can be easily implemented in any site without any fuss. Poke around the infrastructure of any startup website or mobile app these days, and you're bound to find MaxCDN doing much of the heavy lifting. MaxCDN configuration is simple. It would be great to have more configuration options or ways to invalidate assets. MaxCDN offers a simple but powerful service to deliver any kind of assets from a networks of servers. This helps to avoid server overloads and distribute content in an effective way. At the end, MaxCDN helps to accelerate, control and deliver from small and medium web sites. MaxCDN is a solution that can be recommended to any site owner and it can be simply implemented in a small or medium website. At the end, MaxCDN provides what you need to deliver content fast. It is spectacular as MaxCDN is a content delivery network (CDN) provider, based in Los Angeles, California. The company emphasizes reducing latency of rich-content delivery. MaxCDN maintains regional edge servers where customer files are replicated in multiple locations around the world. Dynamic routing logic instructs the end-user's browser to display a copy of the MaxCDN customer's rich-content files, from the location in nearest proximity to the end-user. "A very good service backed up by even better personal help." I would have to say the personal service available when you need it. Their CDN service is excellent or course, but if you can't get it configured correctly it doesn't help. I found that MaxCDN always has someone to talk or chat with to get even less-technical people up and going quickly. They have made strides in simplifying their UI in recent years, but it can still be intimidating. I would recommend they build an even simpler one - maybe sort of a get started wizard or sorts. Try a quality plugin to handle the CDN handshake - wp-rocket, W3 Cache, or Super-Cache. Speed - it is very, very important on the web these days. Our main line of business in conversion optimization. The very first thing we do with a client site is get it running on MaxCDN. Maxcdn is one of the best cdn services out there, it offers everything you need at a reasonable cost. It also does not act a proxy like other CDNS so it won't block things you don't want to be blocked. 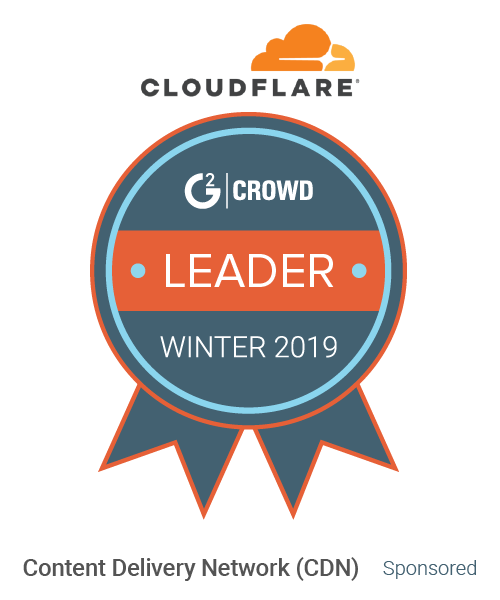 One thing we dislike is that it does not have a free plan but a trial version, sometimes one has minor sites which could need a bit of cdn boost, but you don't want to pay because it does not make you any money, well in that case we have CloudFlare. Use the trial version and you will get a very complete experience of what the paying version will be. Content caching, speeding sites up, attack protection. "MaxCDN your first CDN option"
MaxCDN is actually the top service of the market, you can't go wrong with it, has all the features a CDN should have, the support is great and it's very easy to implement. The trial version forces you to use a credit card, while other cdn services offer limited features service free. If giving your credit card number without wanting to buy is not a problem for you. Definitely go for the trail and see the magic for yourself. CDN, Content Delivery, Site Protection, easy configuration. "Fantastic CDN for serving our images and static content"
What we like best was the ease of use and speed to get it up and running. Since MaxCDN support was included in our hosting, it made deployment even easier. For optimum performance, we recommend using a system like Smush It to optimize your images first then have those optimized images served from MaxCDN. Another great tip is to try using MaxCDN in conjunction with Cloudflare for added security and bandwidth savings. The main problem we were trying to solve was website page speed and load times. Using MaxCDN helped us achieve our page load speed goals. "Great company, highly professional personal!" Absolutely loved personal approach to my business! Thank you for NOT treating us as a number like other companies do, Thank you for being innovative and responding to all our requests! There is nothing to dislike! They are wonderful! Once you go with MaxCDN you wont be looking for another CDN provider ever. You will get best of all at the best price with the best support, what else you need? They will go away far and beyond to help you! "MaxCDN is a very fast CDN solution." MaxCDN is very well documented service. You can setup a CDN solution within a short time period. Just login to their website. You can choose out of a lot of custom functions, e.g. protect your content from hot-linking or seperate your content into different buckets. MaxCDN is a nearly complete CDN solution and as said, you can choose from a lot of option to setup. You can setup a secure https CDN, but it's very expensive if you want to use your own domain name and custom certificates. And they don't integrate free certificates from Let's encrypt like others do. We have used MaxCDN as a CDN service for our websites and customer sites. I love how easily they integrate with existing web frameworks / platforms. I'm a WordPress developer by trade, and I've never had an issue getting it tied into a site for whatever reason it's being used. Honestly, I've not hit any real negatives. There could be a better stand-alone plugin for WP, but that's not a huge issue for us. If a "true" CDN is needed (and not just offsite file storage) then MaxCDN is the easiest I've worked with. Clients that have image heavy sites don't want to load up their server with the images, and also don't want the performance hit that often comes with it. "MAX CDN is one of the best content delivery network "
I like the simplicity of using the CDN. We just need to give URL of the anything that we need to import and that's it. No download no upload. Simply best. Although I enjoyed the max CDN most time. And I really enjoyed it but sometimes it sees that when the page load it takes long time with Max CDN. can't find anything that's a problem. but then again I only use the links hosted by other companies, never used it for my own stuff. "Extremely easy to use and integrate into websites and web applications"
The simplicity of it all. Being able to host js and css resources and include them easily on any webpage. The loading of resources could be faster, I believe CloudFlare has faster loading times in terms of js and css files. It's a good CDN network. Can easily meet expectations when solving technical requirements. Building a web application for photo sharing and critiquing. The dynamic routing capability to display a copy of requested data based on location and proximity. Would rather the date be live as opposed to a strict copy. If latency is your main concern, give this a shot (especially if dealing with overseas clients). We are trying to remove latency from our non US based customers for content delivery. "Using for sites and private systems"
Sometimes it doenst have a version or the last verion of some lib. I was trying to deliver better user experience with faster loadings, and with MaxCDN i achieved that. Their support is on point, quick turnarounds to any queries. Setup is fast with clear tutorials allowing multiple sites to all run on the service quickly. Cancelling is a bit strange, you must go through a sort of ticket process to do so. Try it for free to see if it helps your website, you can always cancel at any time. Speeding up websites to better SEO scores and improve user experiences can been done quickly using MaxCDN. "MaxCDN - worth the price if you're looking for a plug-and-play option for WP"
Integration with Yoast takes literally 60 seconds, and the results are great! Their site is also very easy to navigate and even the most tech-impaired clients of mine have been able to sign up and access their accounts easily. MaxCDN has been very helpful in providing a better user experience for clients of mine with lots of image files, etc., by significantly speeding up the loading process. "Probably the best CDN service"
Nothing at all. MaxCDN is providing us all we need at this moment. We deliver our static files faster to our customers now. Fast. The system is really performant and there is no effort during activation phase. Security supports both SSL and auth tokens. A few server located in Europe and price is high and fixed, not pay as ou go. There is the possibility to reach high bandwith but prie is high. High number of server in USA, but less in other countries. Provide my customers applications and content which I developed. Its quick, has a good set of features and is reasonably priced. Also they provide free hosting for several open source projects which is really nice. Speeding up our websites and offloading traffic from our central servers onto an external host. I like the real-time reporting capabilities and the straightforward pricing. The pricing can be a little high when compared to something like Amazon Web Services. We need to house content with high global availability. "Once sign up, no more worries in the future." The service is good, and it's a good CDN service. No feature for CDN of dynamic content, which provided by CloudFlare. * We monitor all SecureCDN reviews to prevent fraudulent reviews and keep review quality high. We do not post reviews by company employees or direct competitors. Validated reviews require the user to submit a screenshot of the product containing their user ID, in order to verify a user is an actual user of the product. Hi there! Are you looking to implement a solution like SecureCDN (Formerly MaxCDN)?